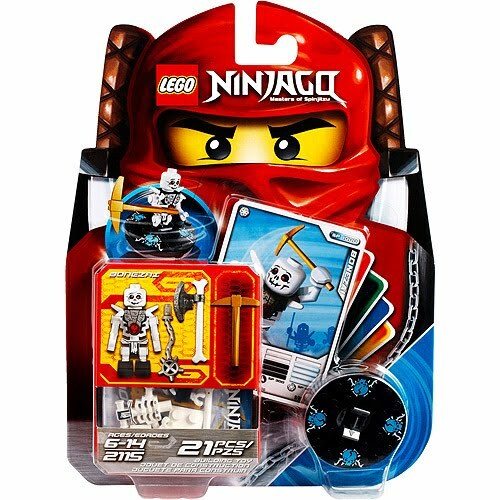 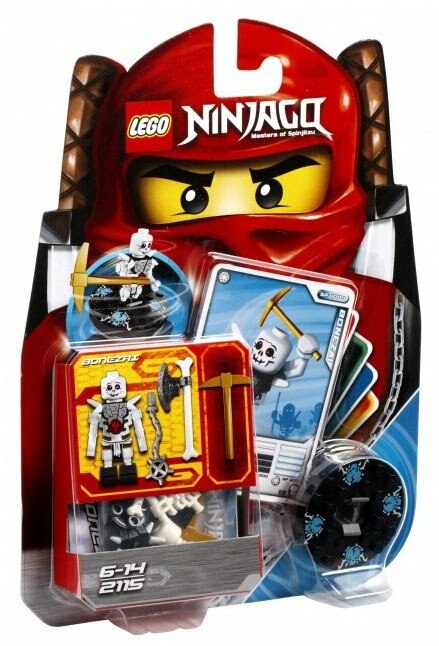 come with a spinjitzu spinner, 3 weapons, a character card, 4 battle cards and bricks. 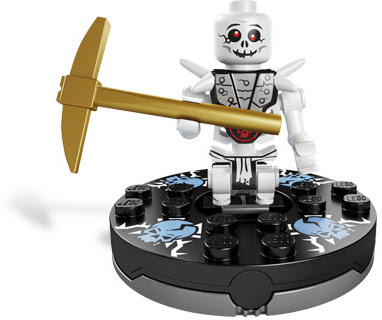 the spinner is black ice. 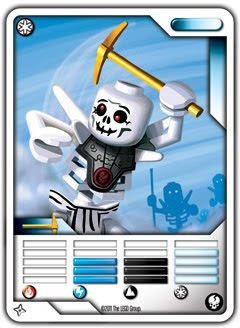 minifigs included a bonezai minifig.